This stroller is great. Folds up nice and compact. We have a large jogging stroller that doesnt cut it when trying to maneuver through the mall. I love that there are multiple recline positions and a very large sum shade. This stroller came with a rain cover which was a plus. Wish it had a front tray or cup holder of some sort. Otherwise this stroller is amazing. 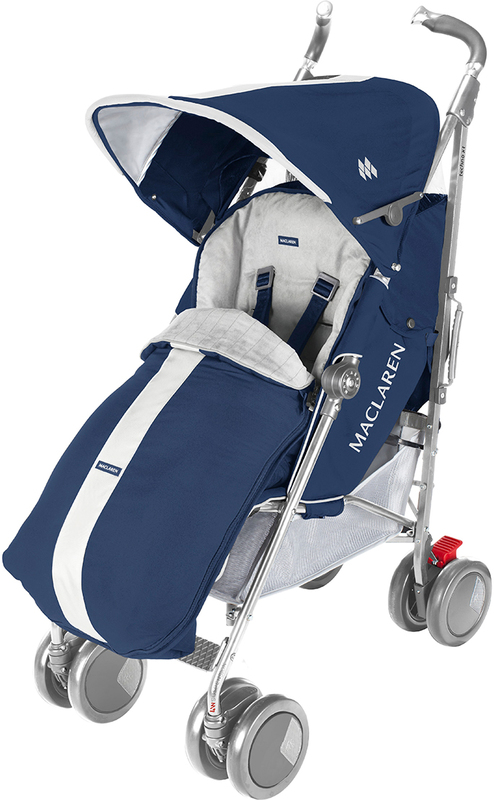 I simply love macalaren strollers!!! 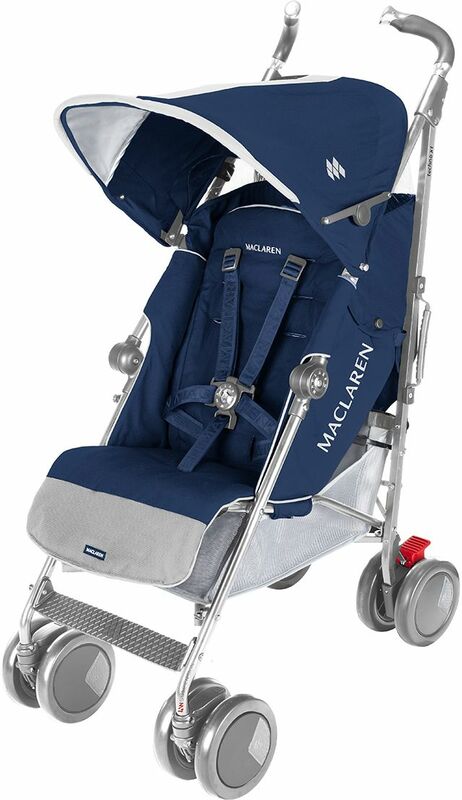 From the moment my children turn 1, I transition my children to the macalaren stroller. I have done this with all 5 of my children and getting it form Albee baby is the best the customer is service is amazing. Best UsesEasy to close and maneuver, colors are beautiful and comes with rain cover. Great stroller for an even greater price!! We needed something smaller and lighter now that our son is a toddler ( used Skate by Peg Perego since he was born). We were really on the look out for something that is comfortable, has a good recline ( in case we are out and he needs a nap), and the most important was to have a GOOD canopy that could cover as much of his body as possible ( we live in Florida, so a good sun cover is a must!). It really didn't take us long to decide on the stroller, and as usual, albeebaby came to the rescue with their great prices! 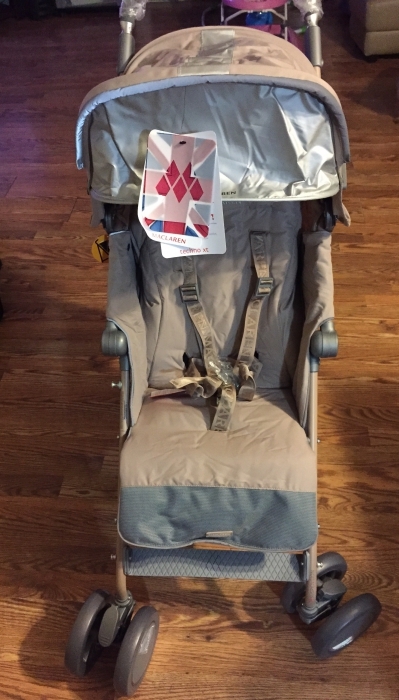 The stroller arrived within 3 business days, all nice and intact, and we already took it on the "test ride", and it passed all our expectations with flying colors! Couldn't be any happier with our purchase! Thanks again, albeebaby! So in love with this stroller! This stroller is super sturdy and sporty. My almost three and a half year old son loves it! The Scarlet color is gorgeous and suitable for a boy or girl. Thanks for the great price Albee Baby and the super fast shipping. We've been using the Maclaren strollers for many years now. We had a Techno xt that we purchased in 2010 which we were using all this time. However by now it was really on its last leg So we chose to purchase another one. 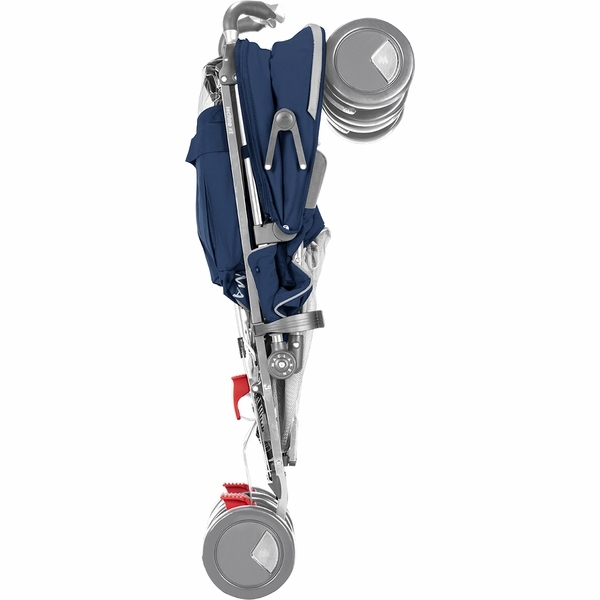 It's Durable, easy to maneuver and fold, compact enough and lightweight. It Has a great big canopy and easy full recline all features that work well to suit our needs. This place is awesome I got a $450 stroller for $184 and they shipped it right away. I was so happy with this purchase. I recommend albeebaby to anyone. Great service, awesome prices! Everything perfect. The product, delivery, etc. It's such a nice stroller and my son likes it very much. The color is lovely. Proscomes with a rain cover that fits great. 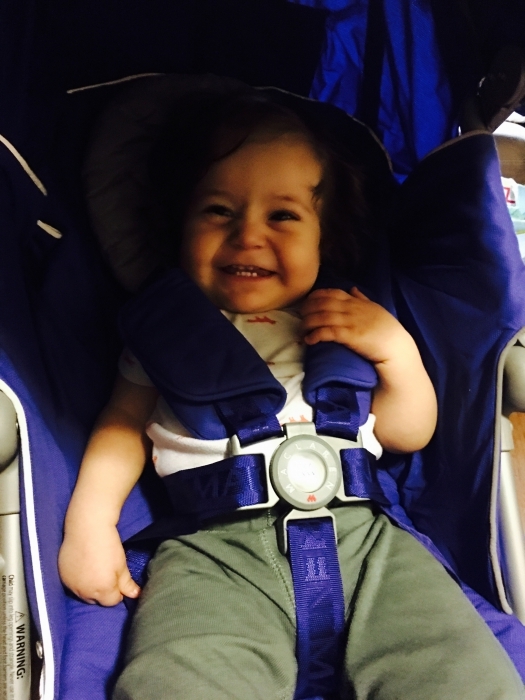 Best Usesmy child is very comfortable and secure in it and is happy no matter how long she is in it which is great cause she hated my larger graco stroller which i was glad to stop using it was big and awkward. I bought this stroller for my coming newborn. It is nice and sturdy, not like some cheap ones. The canopy is extremely large and no extra sunshade is needed. Also rain cover is included. The stroller is light and easy to fold with 4 wheel suspension. The seat can be reclined to almost 180 degree, which is good for newborns. The only thing I don't like is the basket. It is too small and my wife has problem with even putting her empty baby bag into it. It's such a beautiful stroller and very we'll built. The color is just lovely. All I can say is I am very happy with my purchase. Not roomy enough for big kids (like a 1 year old who is big for his age). The wheels were so loud I had to return it. Got another one and that one did not last either. Kind of heavy for a lightweight stroller. ProsLarge canopy, comes with rain cover. The button closure is so tight your child will not get it open. Love the high handles. Its wide seat and smooth ride. Best UsesThe different positions of the back rest will allow your baby to sit and lay down for sleeping. Maclaren is a good quality never let me down.This is my 5th Maclaren stroller used Quest, Triumph, Volo and Techno XT.Had to purchase this one for my 3 months old baby boy he is rather a big baby.He instantly fell asleep during our first ride.Extremely easy to maneuver.Good fit for me 5'3" and for my husband too who is 6'6" because of the handle bar extension.Not as lightweight as the Quest but it means way sturdier stroller.Does not tip over as much easily as the Quest did.On top of everything this is a very beautiful blue.Was hesitating between the black and this one glad I picked this one.Also bought the Universal Organizer in Silver color which is a perfect match for the frame and the basket underneath and the original Maclaren cup holder too.Now I can enjoy my coffee while little guy enjoys his ride :)Highly recommended. We purchased this stroller because we needed something that was esay to travel with..our original stroller was bulky making travel difficult. 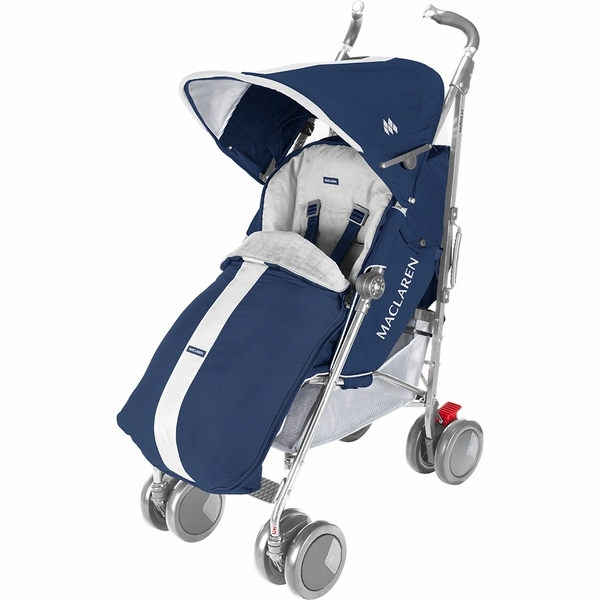 This stroller folds well and is easy to store in a gate check bag designed for umbrella strollers. 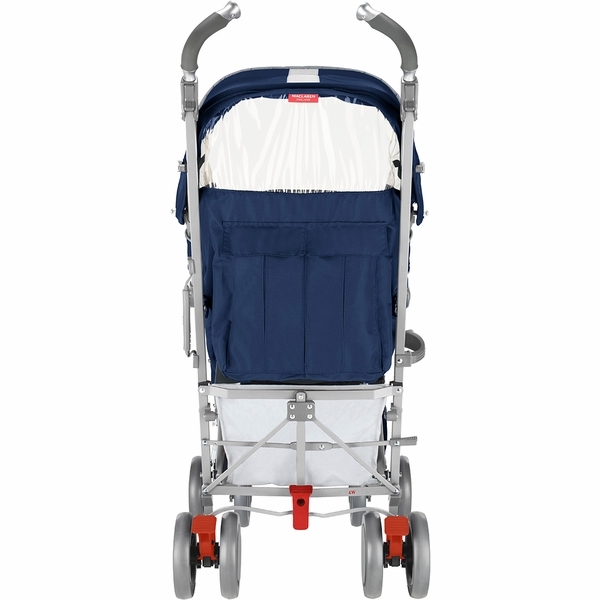 The handling on the stroller is great , it moves with you and its very easy to manage. 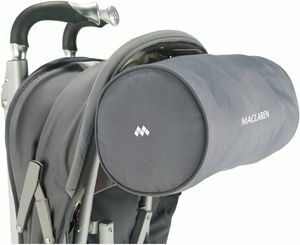 I love the rain cover that comes with the stroller, its not bulky and it looks very stylish. I would have given 5 stars if the storage basket was a little bigger and wider to easily get things in and out when the baby is in the stroller...Overall I really like this stroller. Love the light weight, while still functioning as a full stroller! 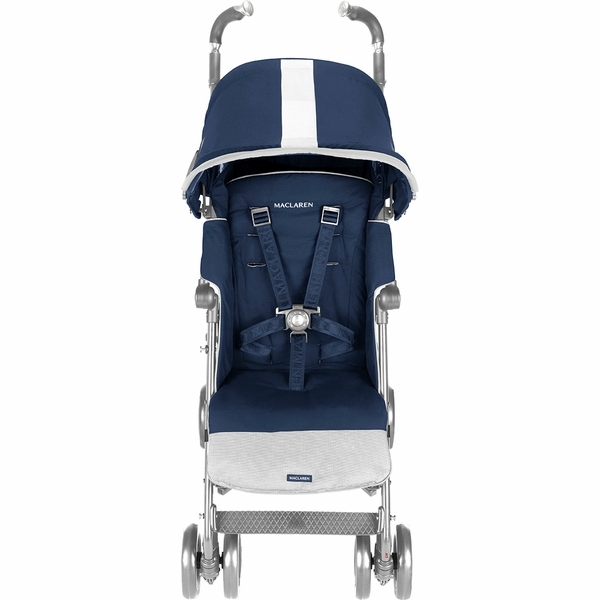 Overall great stroller!! 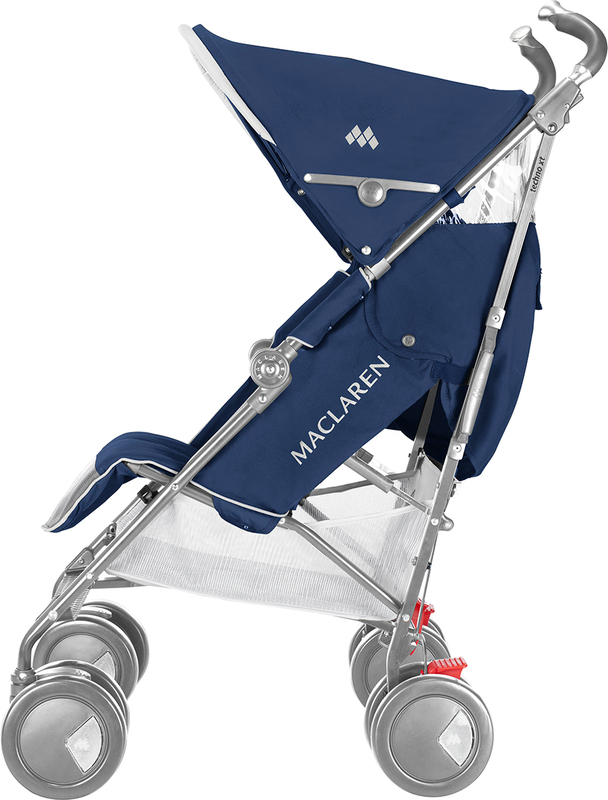 Love, love, love our maclaren xt!! Very pleased with my purchase and an awesome deal!! Thank you Albee baby for great service!! ConsABSOLUTELY NOTHING--it is a high-tech/luxurious umbrella stroller! Best UsesOn the go parents, travel use, theme parks!! 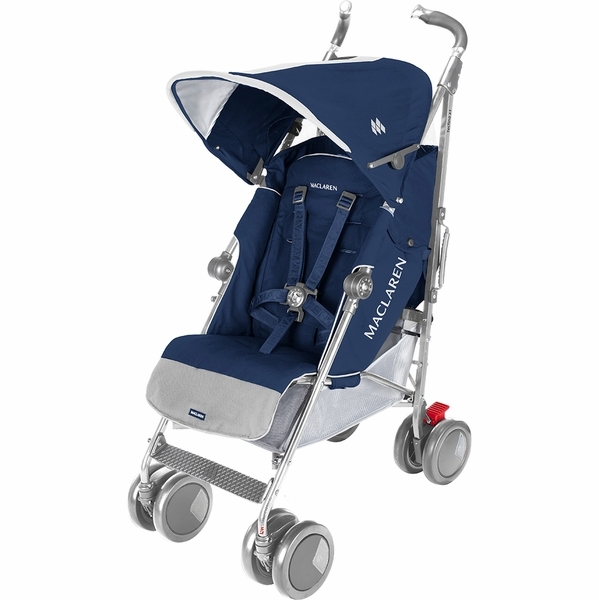 This stroller met all my expectations, I purchased the 2013 Techno XT in medieval blue, very sturdy. We traveled to London and through Italy by train and air. Liked that it came with a rain cover. Stroller was easy to fold and not very heavy. My 13 month old was very comfortable in the padded seat, we extended the leg rest to add to the comfort. Wheels are nice and large love the reflectors, felt a little safer when sun went down and we were out sightseeing. maneuvers well on pavement and cobble stone streets, suspension provided a smooth ride. Sun shade is wonderful, it is large and extended to keep the sun out of his eyes when he was asleep or sitting upright. With one hand you can fully recline the seat, great for quick diaper change or letting baby relax during nap time. ConsSmall storage basket but this is a umbrella stroller so it is to be expected, makes me think ahead and I carry a lot less. I bought this for my friend. She loved it and the shape is cool. Proslight weight easy to use. High quality materials. very confortable stroller. Is not so light but is better than other similar options. I bought this stroller and was pleasently surprised. I loved the color, it looks better in person. I was thrilled with the price, almost $100 cheaper than the other colors. It comes with a storage bag that hangs off the back which wasn't mentioned in the description. 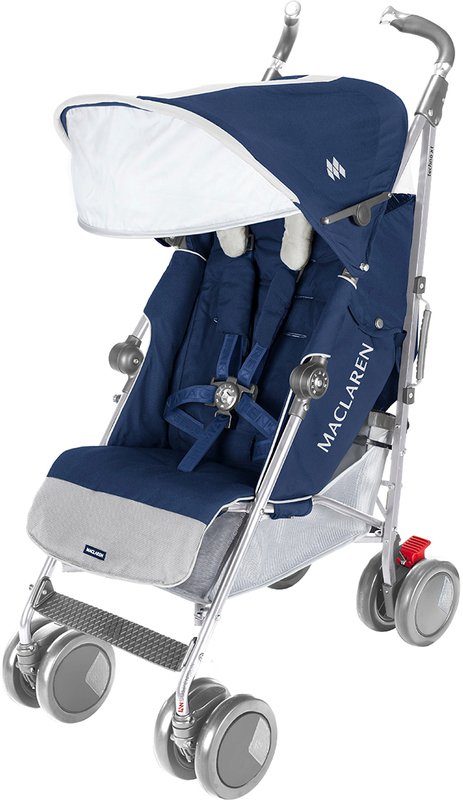 I have a volvo for my 5 year old and I knew I wanted a Maclaren for my newborn because they are so lightweight and easy to use. I love the extra zip-out sun shade that practically covers the baby because it blocks out wind and sunlight even when you're walking in that direction. The handles adjust for taller people also. Its a great stroller. I'll keep it for many years. ProsThe large sun shade and the strorage bag and the reclining seat. ConsYou need two hands to recline the seat and you have to make sure its lined up evenly. This stroller exceeded my expectations. I was looking at the XLT, but for the price I went ahead and got this one from Albee baby. All the features are great, particularly I like the tilting canopy with expansion, reclining back, handle for carrying, and the weight. For the price you can't wrong! We have gone through many strollers before choosing this one. Light weight, easy to fold one handed, great handling, easy to access under stroller storage basket, 5 position recline, giant sun canopy, and beautiful color! This stroller is a dream :)! I was recommended by a friend about this stroller. Found at Albee on sale so I bought. I love it and use it as my trunk stroller. Easy to use and light weight. Cool color too! ProsEasy and light weight. Trusted name brand. Easy to fold up and release to open. Baby seems comfortable in it. Back reclines all the way down to lay down. ConsThe sun roof doesn't go that lower to cover baby's face. Basket under is small. It has all the features I needed, reclines very low for my 5 months baby, fits in my very small lift. The colour (Scarlet) is lovely and you don't see many people in the street with the same which is nice. Good quality although I have only had it for 2 months now but looks very steady. Easy to fold/unfold..I really have nothing to say I don't like about it yet. 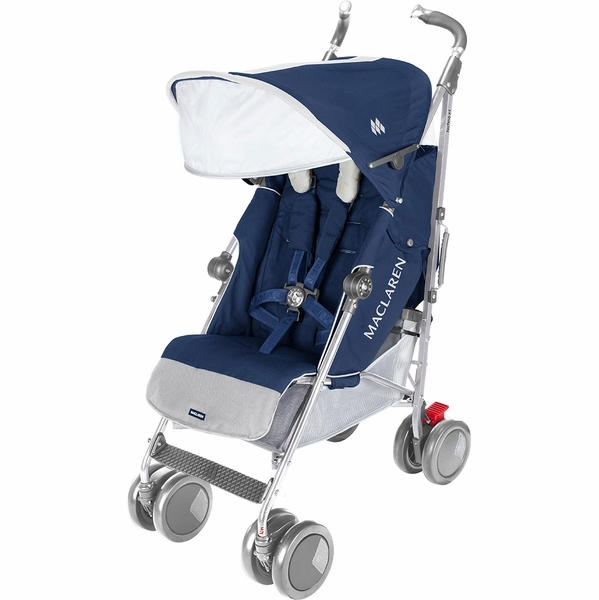 I had the Peg Perego before which is also an excellent stroller, I had it for 3 years and used it A LOT but unfortunately didn't fit in the lift and is more bulky. It seems to be the same qualityAlbee baby were also very reactive in emails, I needed it to be shipped very quickly since i was traveling back home and it can in 3 days to MD. ProsSize, reclines fully flat for baby, compact rain cover,solid, folds/unfolds easily. Light to push one handed, very maneuverable. ConsThe basket is small and you cannot access it as soon as you recline the seat a bit. You have to adjust the back rest with two hands. This stroller is the best! My daughter loves that she has her feet up, normally she hates being in any stroller but she loves this one and sits in it for hours. It's sturdy and beautiful. No complaints here! LOVE IT! Just received today, LOVE IT!!! light weight, full recline good for diaper change on the go, sturdy, large canopy, just about everything, worth every penny I spent... new designed hinge added safety. This stroller is heavy and huge. 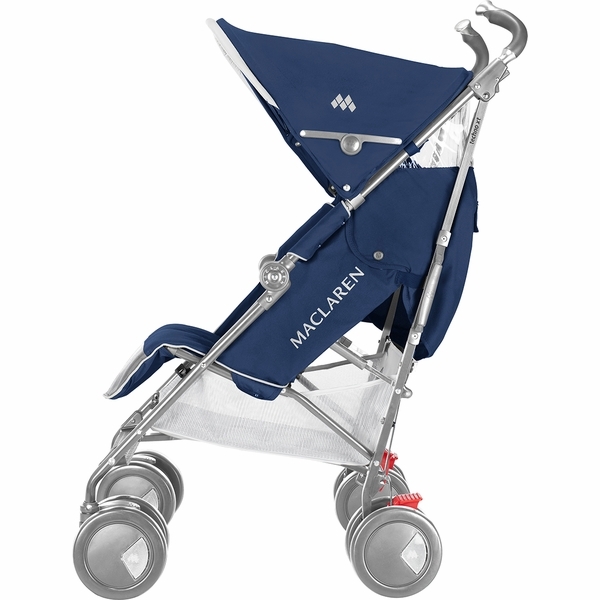 If you are looking for a smaller one, get Maclaren Quest.